The advance single of an album that was yet to be named at the time is entitled “Still the Same,” which meant that while Jennifer Nettles and Kristian Bush had been apart, the chemistry they had as a duo was still the same. Then came the album title, “Bigger” which let fans know that even though some things were still the same, the band was back, bigger and better than before. The Still the Same tour rolled into Verona, New York on Sunday. 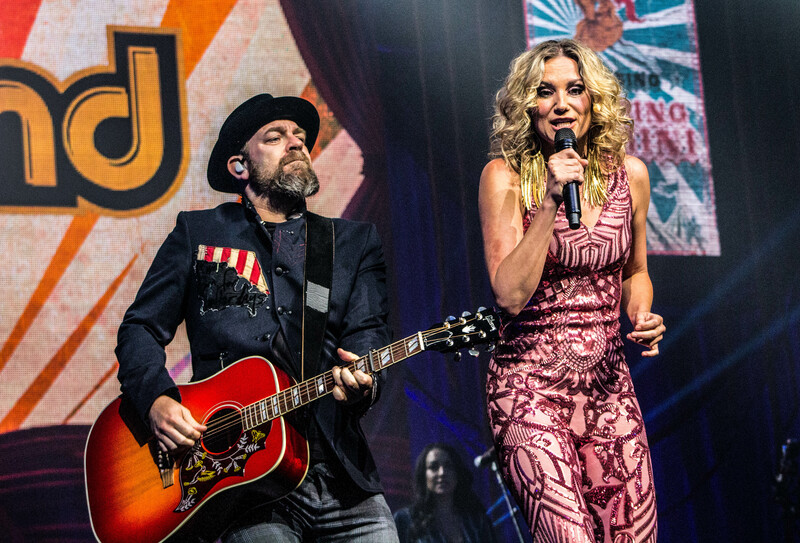 The roughly 6,000 seat venue was the perfect setting for a band like Sugarland. They never had a problem filling larger venues, but the nature of their performance and interaction with fans makes a venue of about 6,000 perfect, as it is not too big that the artists gets lost for many of the fans, and it’s not too small to house a decent sized production. The setlist contains some real gems that represent an excellent cross-section of the band’s career, culling around three tracks from each of the band’s pre-hiatus album. There were six songs from “Bigger,” the only song that was conspicuously absent was “Still the Same,” especially since it’s the song the tour gets it name from. The production is stellar, pulling some of the best elements form the “Love on the Inside” and “Incredible Machine” tours while adding a few new twists that are a lot fun. Jennifer Nettles time on Broadway seems to have made her an even better live performer that she was before the hiatus, and she has always been one of the best. Nettles does not have any full costume changes, she simply adds and takes away a few accessories as needed. The interplay between Bush and Nettles is still something to behold, they play of each other all night, always coming together at just the right time. There were plenty of highlights, but two of them came early in the show when Bush and Nettles performed solo songs. Bush performed a fun version of “Trailer Hitch” and it was followed by an otherworldly version of “Unlove You.” What makes Nettles and Bush both great performers, either on their own or separately, is their ability to channel the emotion of a song, that is what makes “Stay” a concert highlight. “Unlove You” was so moving, in many ways it made “Stay” seem anti-climactic by comparison. They also planted a monster version of “Settlin’” right in the middle of the set. From there the show just kept getting better and better. The newer material wound up being the real highlights, especially “Bird In a Cage” and “Not the Only.” They should have sold a ton of copies of “Bigger” after the show for the fans that had not heard the album. It’s hard to fathom that Sugarland spent the last half decade apart, but then again, they have regrouped with a powerful backing band and some fresh material to add to a catalogue stacked with highlights. They were one of the best live acts around six years ago, and they have lived up to their “Bigger” label. 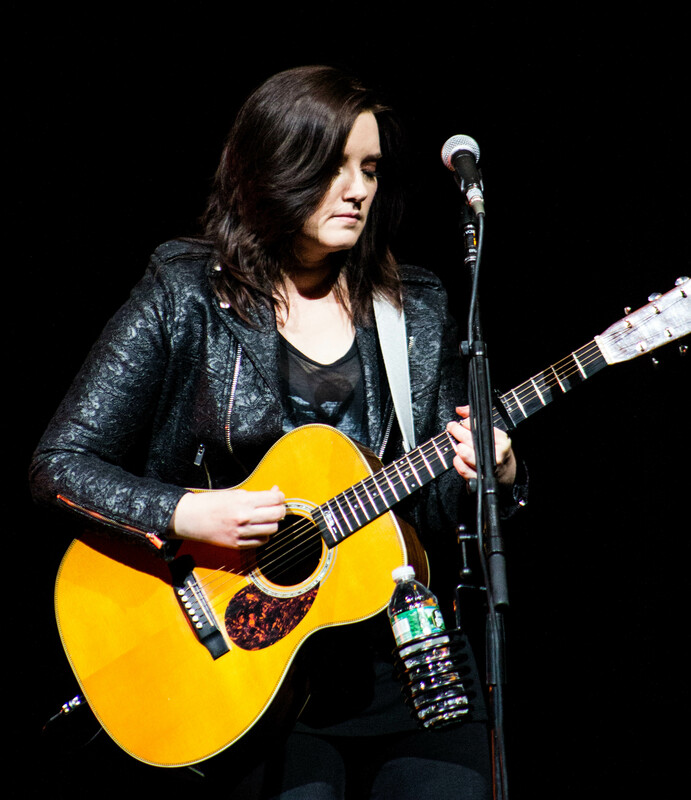 Singer-songwriter Brandy Clark opened the evening with some new material as well. 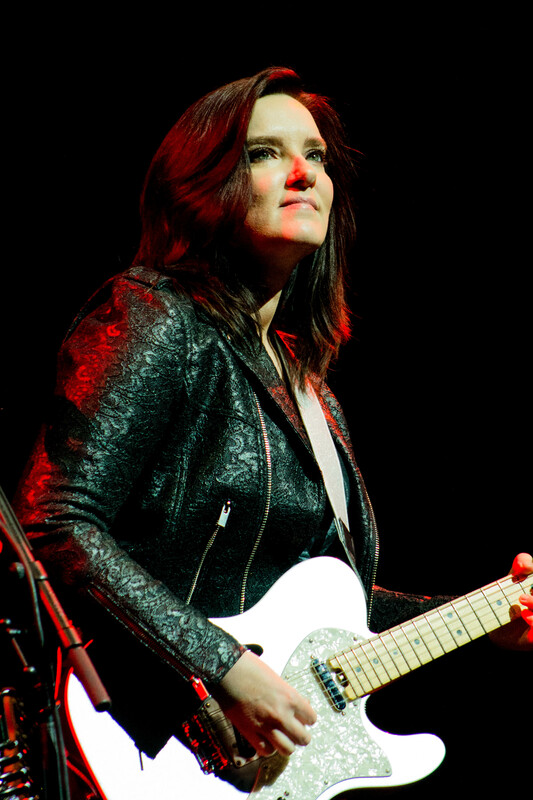 Clark spent some time on the road with Jennifer Nettles when Nettles toured as a solo artist. With each passing year Clark just seems to get better and better-she is the kind of artist who will make you an instant fan the first time you see her (I speak from experience). She may not be the rest of the tour, but she is worth catching if you get a chance.